Happy July 4th weekend to all! I hope everyone is enjoying the summer sunshine! As is customary, ShareASale was closed yesterday (and today) in celebration of our national holiday… I’ve put together a few resources for you though just in case you’ve taken a break from eating hot dogs, playing beach volleyball, and setting off (legal) fireworks! Can anyone guess the location of the photo from our July 4th themed homepage? 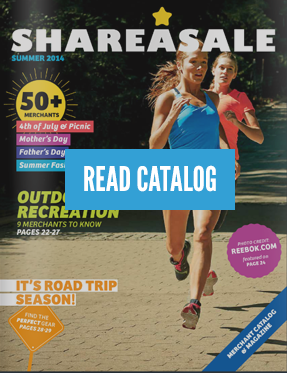 Take a look at our Summer Catalog including a July 4 spread on select ShareASale Merchants. If you are a ShareASale Merchant and have July 4 themed products, make sure to contact us so that we can include you in our next catalog! And finally, just in case you are getting a few hours of work in before heading to a BBQ – and need a last minute recipe… check out these theme ideas from Delish, I may try a few myself! Recipes and tips to help you salute the U.S.A.! Plan a menu that puts all of your favorite All-American eats on display. Whether you’re celebrating Flag Day or the Fourth of July, your party just won’t be the same without a beautiful dessert featuring the stars and stripes! The 4th of July has fireworks, barbecues, and independence. But really, it’s all about the dessert. Fill the table with these wallet-friendly sides and desserts. Prepare a spread of tasty drinks and filling eats infused with our flag-flying colors.